We would like to say congratulations to five of MCL Alumni–Chen Chen, Shangwen Li, Hao Xu, Jian Li, and Xiaqing Pan–for passing their PhD defenses and starting their career lives in such great companies of the U.S.. This year, we will have Chen and Shangwen joining Facebook, Hao joining Google, Jian joining Apple, and Xiaqing joining Bloomberg. We are so glad to have them to share their experience and advises for us. I joined MCL 6 years ago as a master student. In the first seminar talk, Prof. Kuo’s sharing totally changed my view of being a researcher. It is the moment that I made the hard decision to become a PhD student. As expected, joining MCL creates unexpected benefits to my life. The precious platform provides many opportunities for me to learn and to grow. It allows me to meet many excellent students and scholars. Working with them is like visualizing myself in a mirror, which teaches me to know myself before growing. MCL also creates huge challenges to push me to the extreme. Every exam, project due and paper submission are companied with thousands of hours of rigorous and humble team work. “Aim high and act low” is the most impressive lesson I learned from the hard process. It is the precious experience in MCL that offers the Facebook position at the end of my PhD. However, different from what I learned in MCL, I expect to gain more working experience and entrepreneurship in Facebook. I would also like to see more students from our lab can join Facebook to strengthen the MCL alumina team in the future. During my past internship at Facebook, I worked on a video channel ranking project at Instagram. I am amazed by the “move fast” culture of Facebook, in which everyone was working in a extremely fast pace. This kind of atmosphere is challenging but also rewarding. Through the whole internship, I gained practical experience on how my domain knowledge can be applied to industry, which makes me feel pretty self-satisfied. I hope I can contribute my skills sharpened at MCL to my future work at Facebook. I worked as a research assistant in the MCL since 2011 on various projects from 3D depth map generation, 2D to 3D video conversion, Medical Image segmentation to vehicle surveillance systems. In my years at MCL, I proposed a belief propagation based method to generate depth maps for P-frames utilizing the corresponding video frame given the I-frame depth maps. I also proposed a inverse warping algorithm to generate side-by-side view video out of video plus depth input, which yields high quality frames with superior depth effect. Furthermore, I proposed a CNN based image segmentation algorithm that worked on the synchronized 4D medical image sequence to segment the zebrafish’s heart. Lastly, I proposed a framework that worked on several cameras to recognize and index vehicles entering the system’s joint field-of-view. After graduation, I will join Google to further work on computer vision and deep learning problems. It was really a great honor for me to obtain my PhD degree at MCL. My research topic is about latent fingerprint enhancement and recognition, which we proposed methods from traditional image processing algorithms to deep learning technology. This topic is a combination of theory and practice, which enriched and sharpen my capability on both academic and industry aspects. During the PhD process with Prof. Kuo’s advising, I learned the three key characters for research from Prof. Kuo: good taste, thorough thinking, and strong implementation. Moreover, the PhD experience also taught me to keep positive attitude, enough patience and strong confidence. Indeed, this memorable experience at MCL made me better on both intelligence and emotional quotient. Beyond research, I also had several projects and summer internship during these years. Projects in our group are always interesting and practical, and the internships usually are related to the techniques we used for research. This can help us strengthen our professional engineering knowledge and skills a lot. It was really a big treasure for me to be in MCL for my whole life. I joined Apple after my graduation and have started a new journey of my career. I believe that the PhD experience will help me a lot for the new position and role in industry. I am expecting to contribute what I leaned at our group to Apple. By doing this, my value can be realized in real industrial products that may help millions of people in the world. I am also expecting to learn more at Apple to sharpen my engineering skills further. One day, I hope I can contribute to our group MCL. 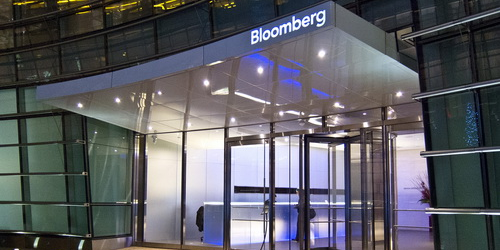 Bloomberg L.P. is the largest financial data provider in the world. I join the company since I am look forward to learning more about machine learning techniques applied on the financial products. As we know, machine learning techniques gained prominent successes in computer vision field. Machines get smarter to help people recognize the world. In the financial field, advanced techniques are also being explored to help professional persons make decisions accurately and quickly. Although more risky, it is promising. Furthermore, as a Ph.D., it is important for me to make a transition from the research world to industrial world, which is more practical. However, many thanks for the instructions given by Prof. Kuo and his group, the skills horned in my Ph.D. study, which I should never forget, will guide me to analyze problems logically. I am proud of being one of the alumni in this group.